The cruise traffic is returning to Acapulco. This season will have 28 calls and 31,000 passengers, up from 17 calls and 17,235 passengers last season. And for the 2017/2018 season, 37 calls with an estimated 45,000 passengers are expected. With the secretary of tourism for the state of Guerrero and the mayor of Acapulco playing key roles, the Acapulco Cruise Committee has been working to generate more calls, resulting in four new calls by Holland America Line this season. Prior to each call, the committee meets with the Center for Assistance and Tourism Protection and coordinates police security efforts. Since 2014 there has not been any incidents with cruise passengers in Acapulco, Casarrubias noted. “We have two approaches,” he said. “The first one is tactical and includes all the efforts for security and public relations at the port to welcome the ships and differentiate ourselves. “With the support of the mayor, we have an orchestra that plays local music, and a folkloric troupe that performs regional dances. “Representatives of the state and municipal government offer a welcome ceremony for the captain and the crew. In addition, we have a hospitality desk at the terminal offering tourist information. Among the many excursions offered, a three-and-a-half culinary tour has proved popular, giving participants a taste of the regional cuisine of Guerrero with visits to several neighborhood restaurants, a market and a mezcal cocktail spot, all along Acapulco Bay. Acapulco is also hosting a variety of special events throughout the year from surfing to tennis, a French film festival and a seafood event. As Mexico’s original beach destination, since 1932 the cliff divers have performed at La Quebrada. 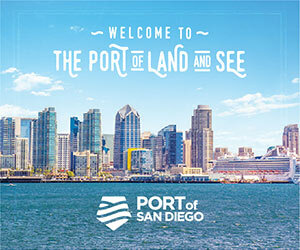 There are murals by Diego Rivera, the 400-year-old Fort of San Diego; scuba diving and snorkeling at La Roqueta Island, and more. In other developments, major investments are being made in Acapulco, which promise to further strengthen the destination’s tourism product. These include road and transportation improvements. A new 194,000-square-foot airport terminal is slated to open in 2018, nearly doubling the airport’s current facilities. The Mundo Imperial Group has launched a five-year, $1 billion master plan focused on real estate development and renovation, as well as what is said to become the world’s longest over-the-ocean zip line at more than one mile in length with gliders reaching up to 75 mph at an altitude of 328 feet. 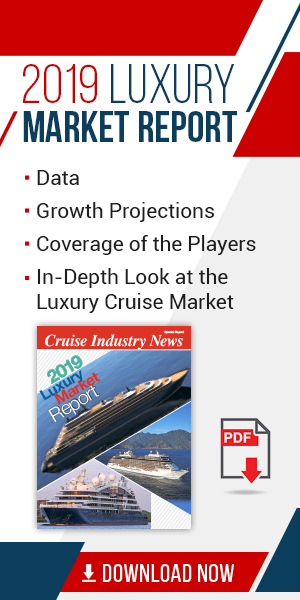 Get an in-depth, behind the scenes look at the North America cruise market and the ports that make it happen in the 2016-2017 Winter edition Cruise Industry News Quarterly Magazine. Subscribe today.